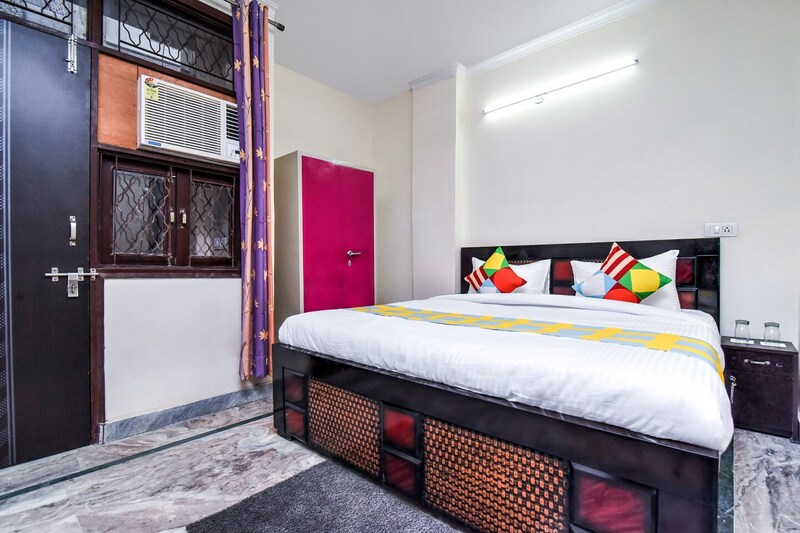 OYO Home 23132 Cozy Stay is a budget-friendly and comfortable accommodation situated near Jagadamba Market, Sangam Vatika, and Babbar Market. Home Cozy Stay provides its guests with a comfortable stay experience. It has 3 rooms with 2 washrooms; a kitchen and a living and dining area. The rooms are well furnished with modern decor and snug interior designs. Located near the Red line and Green Line, it is accessible from all parts of the city. The homestay is provided with modern amenities like TV, AC and power backup. CCTV cameras are also installed to ensure the security of its guests. It is an hour drive away from Red Fort and Rashtrapati Bhawan. It is also situated near famous eateries like Pawan Vashno Dhaba and Cafe BFF.